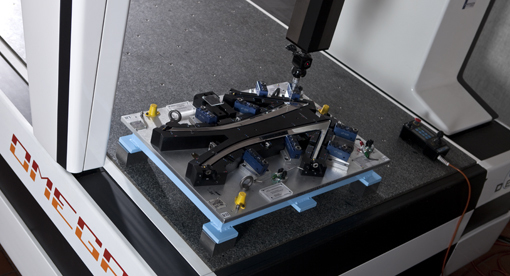 Rapid, high accuracy measurement of tool and die parts are a key component of the tooling manufacturing process. Our state-of-the-art computerized tooling inspection and measurement resources enable us to produce the most precise, effective tools on the market. Our technical experience, leadership and commitment to exceptional customer service allows Walker to provide the latest tooling technology to fit any unique need. This equipment enables us to inspect all aspects of the tooling systems produced. This also verifies that complex parts are geometrically precise and created exactly to the correct specifications. Walker Tool's software systems employ diverse reporting capabilities, so that detailed reporting can be provided on the inspection of tool & die parts throughout the manufacturing process.